This Saturday -- Listen Live and Call in! 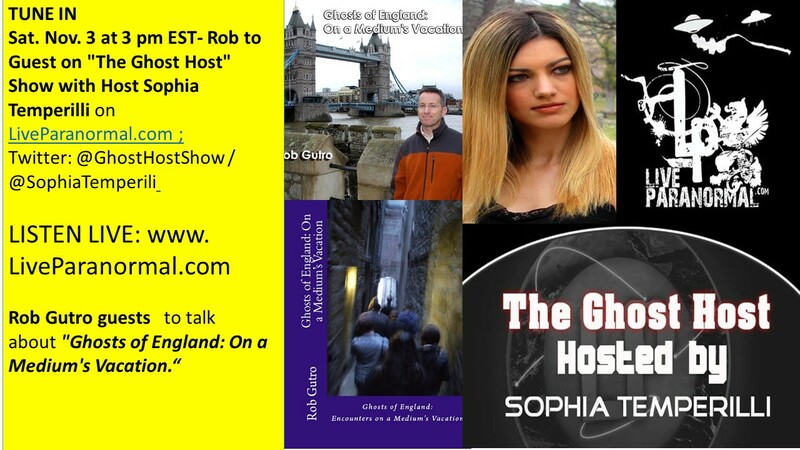 - Rob Gutro is a guest on The Ghost Host Sophia Temperilli show on LiveParanormal.com this coming Saturday 11/3, 12pm PT, 3pm ET, 8pm primetime U.K GMT!! The direct LiveParanormal.com switchboard call-in's -- 619 639-4606. - We'll be talking about pets and the afterlife and taking questions.